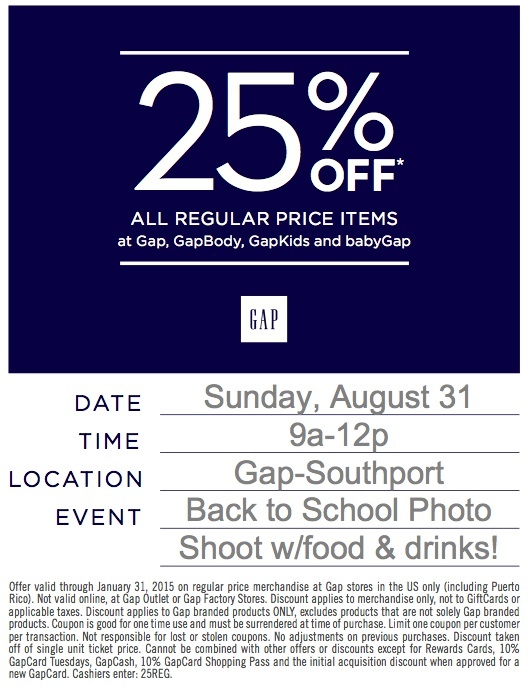 Join me next Sunday at Gap (3416 N. Southport, Chicago) as I’ll be styling children 12 and under in the newest fall Gap line and then photographing them to win a chance to be featured on gapkidsclass.com and store windows. Even if you don’t have children, or can’t borrow any, stop by for a bite to eat and to visit me. And if you’re nice, I’ll take your photo too!